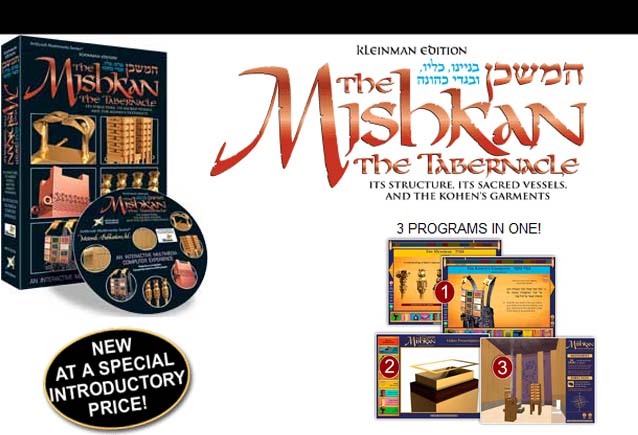 ArtScroll Presents THE MISHKAN: An Amazing Interactive Multimedia Experience. Click below to watch a fascinating demo of this program. REQUIRES A WINDOWS COMPUTER WITH A DVD-COMPATIBLE DRIVE. CANNOT BE USED ON A STAND-ALONE DVD PLAYER. COMPLETELY SELF-CONTAINED. REQUIRES NO INTERNET. PARENTS SHOULD NOT ALLOW CHILDREN TO USE COMPUTERS WITHOUT SUPERVISION.